The plan for Restcomm is to reach key web developers by utilizing two distribution channels: entering the web service marketplace and reaching the enterprise company developers directly. Customers who come from the web service marketplace will be able to purchase the Restcomm product and start using the services almost immediately. Likewise, Restcomm will be an attractive option for enterprise customers who are looking for a more secure way to store data in their onsite server. All they have to do is download the Restcomm product from VoIP Innovations and put it on their server. Not only will this provide them with robust services, but they will have increased data security. Working with Restcomm is really that simple! 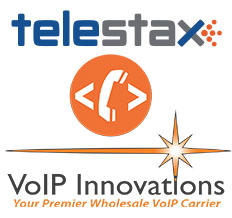 "The Telestax team has been in the business of enabling telecom innovation since 2003. With Restcomm for VoIP Innovations we enter a new age of communications that changes the way companies use telephony,” said Co-Founder of Telestax, Ivelin Ivanov. “It is no longer a world of PBX hardware boxes siting in a corner of the office connected to the PSTN and a SIP gateway, but disconnected from all other IT assets. Telephony is now just another set of API’s that can be used for PBX and many other business workflows such as CRM and help desk." Restcomm is going to be a game changer in the VoIP and web developer industry. Other companies may offer similar products, but Restcomm is the only one that offers the rich experience that customer’s desire, but without the premium price tag required by first generation telecom cloud API providers. For more information on Restcomm for VoIP Innovations, please contact a sales representative at sales@voipinnovations.com.